The offshore oil and gas industry is growing, driven by global demand trends, the updating of aging infrastructure, and other factors. Significant drilling campaigns are planned in the Arctic, the Chukchi Sea off Alaska, Russia’s Kara Sea and other areas. Another growing offshore phenomenon is wind farming. Offshore wind farms offer higher wind speeds, less turbulence and fewer environmental constraints than on-land farms. They are becoming an increasingly important source of worldwide electric power. In offshore, as in so many other industries, keeping a close watch on costs and controlling risk are seen as keys to success in the near future. Our engineers have expertise in the offshore industry. 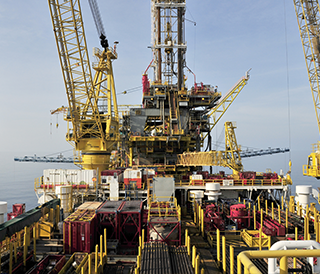 Our resistors and other products not only provide better, more accurate information, but are able to withstand the extreme shifts in temperature and pressure found in offshore applications. 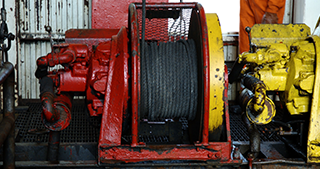 You’ll find our load cells in control systems for winches, cable laying equipment, offshore cranes, mooring chains, etc. In an industry first, we developed load cells that can be serviced and replaced in the field — without affecting system calibration — to avoid downtime, cut costs and reduce risk. Our resistors and pressure sensors are capable of delivering top performance in the harsh, high-moisture conditions of down-hole applications. In short, our products are ideally suited to the specific needs and extreme conditions of the offshore industry.